Urea is the chief end product of protein metabolism. Formed in the liver from ammonia and excreted by the kidneys, urea constitutes 40% to 50% of the blood’s nonprotein nitrogen. Because the level of reabsorption of urea in the renal tubules is directly related to the rate of urine flow through the kidneys, the blood urea nitrogen (BUN) level is less reliable indicator or uremia than is the serum creatinine level. The BUN test measures the nitrogen fraction. To identify causative organism in bacterecemia and septicemia. To determine the cause of fever with an unknown origin. Tell the patient that the BUN test is used to evaluate kidney function. Inform the patient that he need not to restrict food and fluids, but should avoid diet high in meat. Tell the patient that the test requires a blood sample. Explain who will perform the venipuncture and when. Explain to the patient that he may experience slight discomfort from the tourniquet and needle puncture. 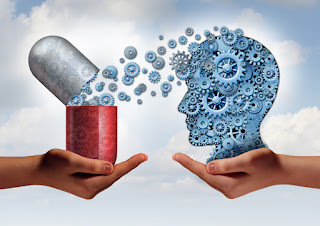 Notify the laboratory and physician of medications the patient is taking that may affect test results; they may need to be restricted. Clean the venipuncture site first with an alcohol swab and then with a providone-iodine swab, starting at the site and working outward in a circular motion. Wait at least 1 minute for the skin to dry. Perform a venipuncture and draw 10 to 20 ml of blood for an adult, or 2 to 6 ml for a child. Clean the diaphragm tops of the culture bottles with alcohol or iodine and change the needle on the syringe. If using broth, add blood to each bottle until achieving a 1:5 or 1:10 dilution. For example, add 10 ml of blood to a 100-ml bottle. Note that the size of the bottle may vary depending on hospital protocol. If using a special resin, add blood to the resin in the bottles according to facility protocol, and invert gently to mix it. 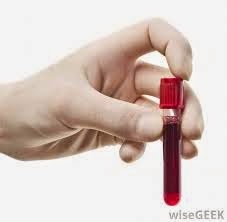 Draw the blood directly into special collection processing tube if using lysis-centrifugation technique (Isolator). Document the tentative diagnosis and current or recent antimicrobial therapy on the laboratory request. Send each sample to the laboratory immediately. Collect blood cultures before giving antimicrobial agents whenever possible because previous or current antimicrobial therapy may give false-negative results. To detect most causative agents, it’s best to perform the blood cultures on 2 consecutive days. Use alcohol to remove the iodine from the venipuncture site. Monitor the venipuncture site for bleeding and signs of infection. In elderly patients, BUN will show slightly higher values, possibly to 69 mg/dl (SI, 25.8 mmol/L). Elevated BUN levels occurs in renal disease, reduced renal blood flow (due to dehydration), urinary tract obstruction, and increased protein catabolism (such as with burns). Low BUN levels occur in severe hepatic damage, malnutrition, and overhydration. Hemolysis from rough handling of the sample. Use of chloramphenicol may possible decrease the BUN. Aminoglycosides, amphoterecin B, and methicillin may increase BUN by nephrotoxicity. Hematoma at the puncture site. Handle the sample gently to prevent hemolysis.